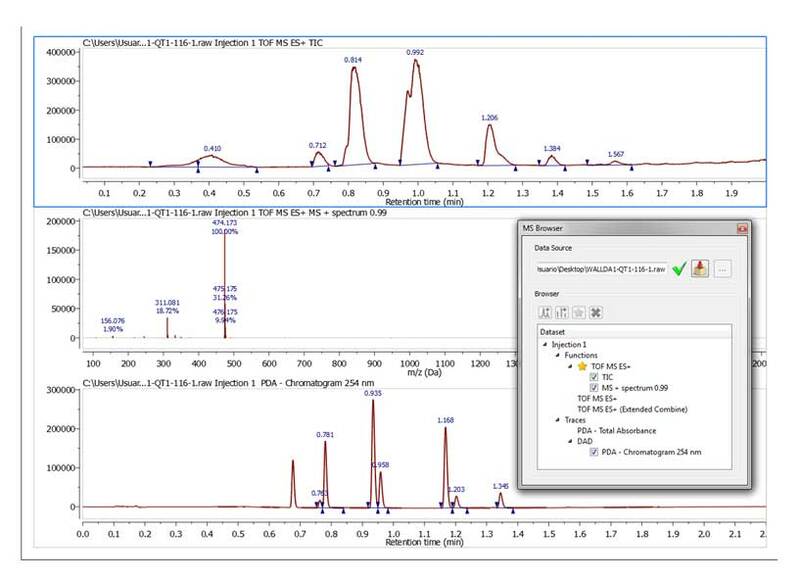 Here you can see the result of having extracted the trace at 254nm: And here you can see the result after having extracted the Total Absorbance Chromatogram: From the PDA-Total Absorbance Chromatogram, you will be able to extract the complete UV spectrum. 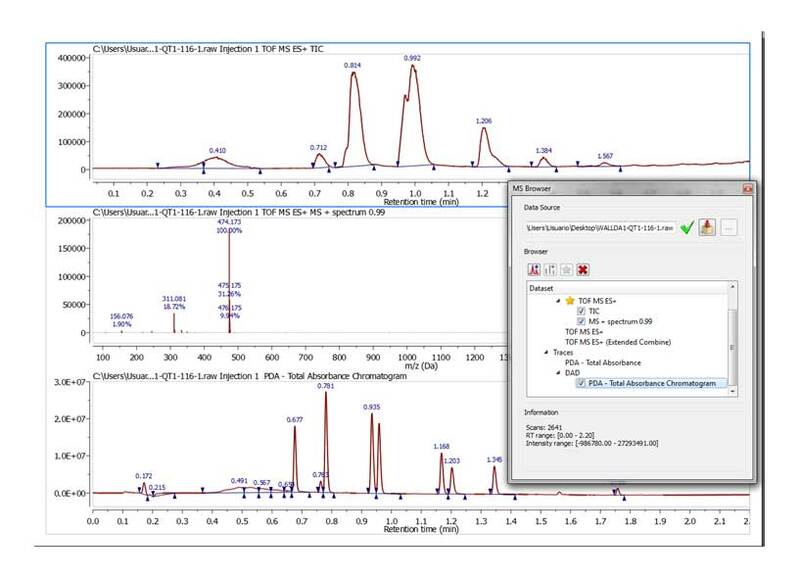 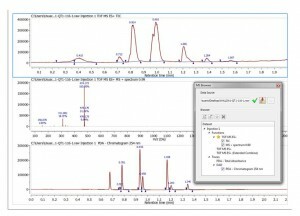 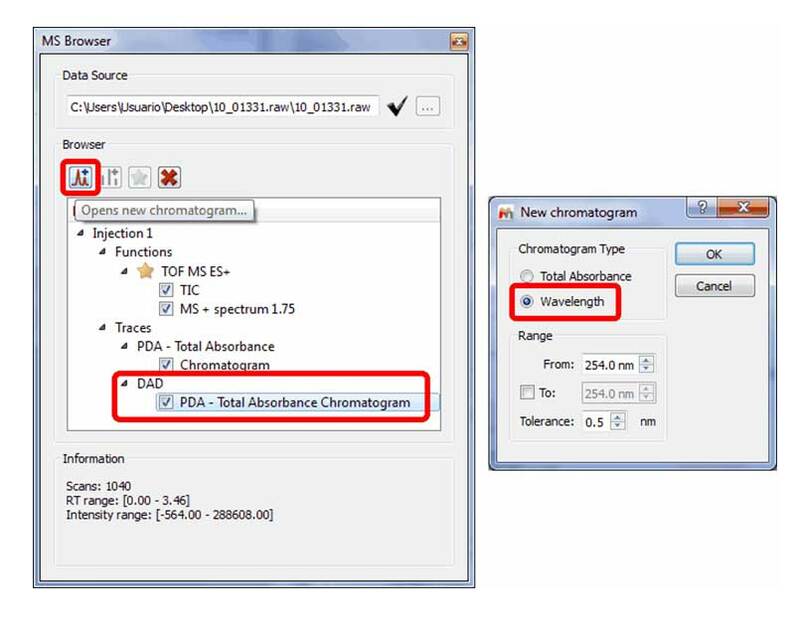 To select a UV spectra: the dataset must have the full UV spectra set (and not just a single or a set of UV chromatograms, ie, MS browser panel must show a sub-item called DAD under the Traces item). 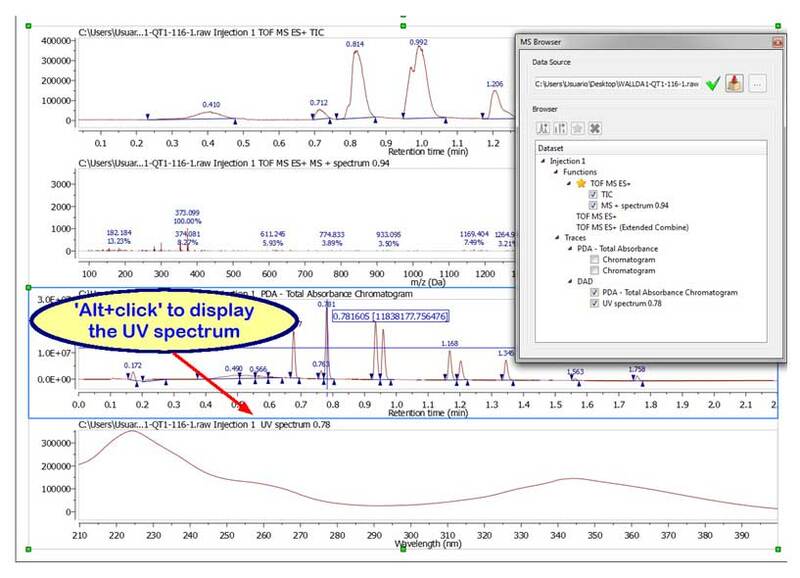 Using the crosshair mode and clicking on a UV chromatogram while holding Alt pressed, will display the UV spectrum for the clicked retention time. 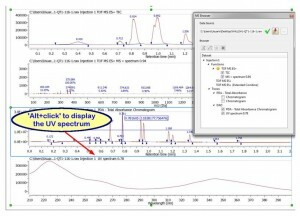 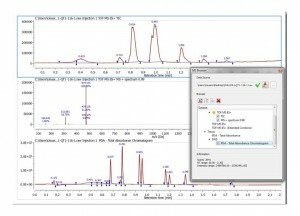 You can also Co-add UV chromatograms by clicking and dragging the crosshair to select a range on DAD chromatograms as you can do with the TICs. 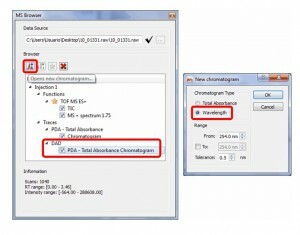 Download the files used at this tutorial.